Arnold Mühren, in conversation with Voetbal International, was downplaying the significance of his contribution to what remains the Netherlands’ greatest success on the international stage. In an illustrious career, during which he became one of only a handful of players to win all the major European club competitions, Mühren’s greatest moment arguably came in the final of the 1988 European Championship, against the erstwhile Soviet Union, when Marco van Basten turned his pinpoint cross into the most spectacular volley ever. In the twilight of his career, Mühren was part of the Netherlands team that won Euro 88. At 37 years and 23 days, he was, and still is, the oldest European Championship winner. While Mühren admits that the triumph was “absolute highlight of my career”, he has reiterated that the assist he is best remembered for was “actually a poor cross”. His modesty isn’t strange for someone who was quick to realise he was always going to play a supporting role in his career; forever the bridesmaid but never actually the bride. “It’s in our character [the Mühren brothers], putting yourself in the service of others. Football is a team sport in which you have to use each other’s qualities. We were in the service of the better players,” Mühren once said. In fact, it was this grasp of reality early on that helped him to an immensely successful career lined with silver. While he may have lacked the skill of Johan Cruyff and the verve of Johan Neeskens, he made up for it through his brilliant consistency, professionalism and determination. Mühren joined Ajax from FC Volendam in 1971 aged just 20. 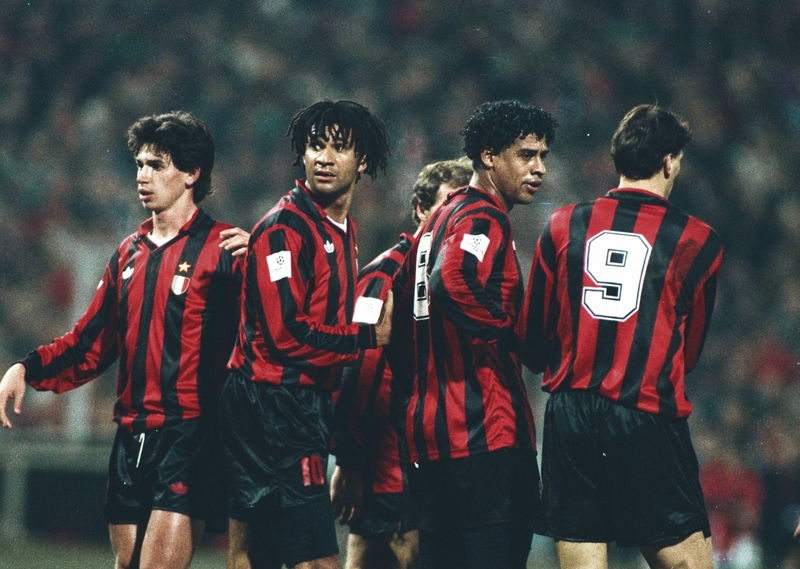 The Amsterdam side had just lifted their maiden European Cup and included in their ranks stalwarts like Cruyff, Neeskens, Johnny Rep, Sjaak Swart, Ruud Krol, Piet Keizer, Wim Suurbier and Arie Haan; individuals with strong personalities and world-class talent. With elder brother Gerrie – also a left-sided midfielder – the preferred choice, it was palpable that the younger of the Mühren siblings had to content with the role of a substitute under legendary Romanian manager Ștefan Kovács. Arnold played 62 league games in his first stint with the Amsterdammers between 1971 and 1974, winning the Eredivisie twice. Mühren was also part of the side that won a third straight European Cup, playing for a few minutes in the quarter-final second leg against Bayern Munich and the semi-final first leg against Real Madrid. He played the entire 90 minutes in the semi-final second leg in Madrid, watching his elder brother score the winner and then juggle the ball to torment his opponents, indicating a shift in the balance of power, both in terms of success and ideology from Madrid to Amsterdam. Though his contribution was less significant, Arnold nevertheless had plenty of silverware in his cabinet by the time he left the capital. His next assignment, in Enschede, saw him play a bigger role. 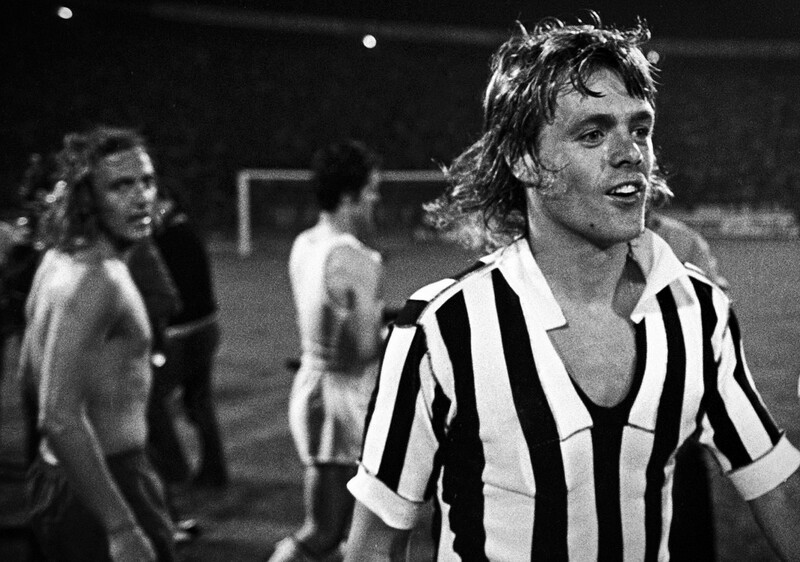 During a four-year stint, he helped Twente reach the UEFA Cup final in 1975, losing to German side Borussia Mönchengladbach, and win the KNVB Beker in 1977. Then came the opportunity that helped establish his reputation as one of the best players of his generation. Impressed with Mühren’s performances in Enschede, Bobby Robson didn’t hesitate to pay £150,000, a considerable sum back then, to bring him to Ipswich Town in 1978. 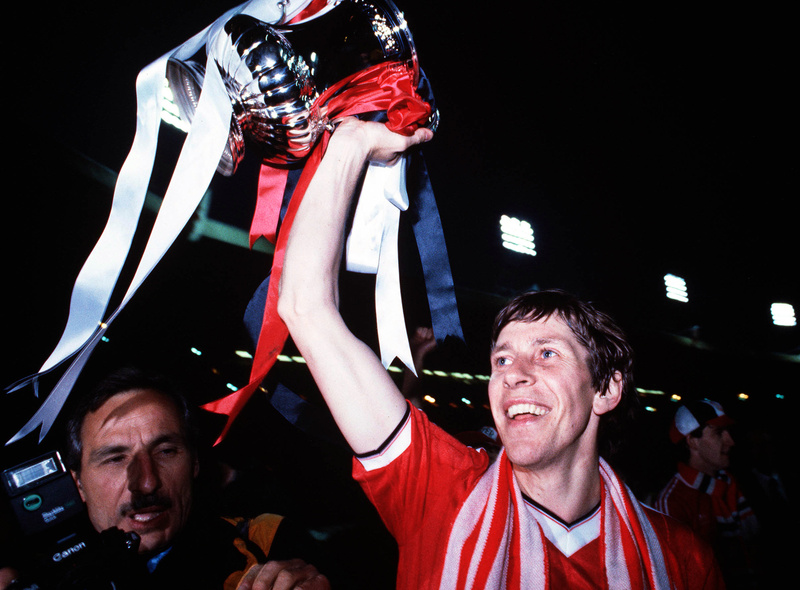 A year later, another Dutchman, Frans Thijssen – Mühren’s teammate at Twente – joined the English side, and the duo, amongst the earliest overseas superstars to play at the highest level in England, combined to form a formidable midfield axis and ensure the most successful period in the history of the Suffolk club. Mühren played a pivotal role as Ipswich won the FA Cup in 1978, the UEFA Cup in 1981 and twice finished runners-up in the First Division. Robson was palpably pleased to see his decision vindicated, and was fond of the player’s character. “Mühren was a wonderful passer, great vision. I cannot think of anyone I would rate higher as a professional than Arnold. No one works harder and when the match is over, he won’t go out drinking. He goes to bed,” the legendary England manager was quoted as saying by the media. That return to Amsterdam was bolstered by the desire to play under Cruyff, who was now managing Ajax, and helped him add the only major silverware missing from his trophy cabinet – the now-defunct Cup Winners’ Cup in 1987. More importantly, it also afforded Mühren, aged 36, a last shot at making an impression with the national team. For all his success at club level, Mühren seldom had the chance to wear the famous Oranje, such was the depth of the Dutch squad in those days. Despite being a graceful midfielder and comfortable on the ball, Mühren was often underrated, ignored for more outwardly gifted players and those plying their trade on the continent. As a result, he has something of an unwanted record in common with the likes of Alfredo Di Stéfano, George Best, Eric Cantona, George Weah, Ian Rush and Ryan Giggs. Like the aforementioned legends, Mühren never got the opportunity to play at the biggest tournament of them all: the World Cup. A rookie Mühren was never in contention for the 1974 squad that made the final in Germany, becoming synonymous with Total Football. In fact, manager Rinus Michels had asked the elder of the siblings, Gerrie, at the peak of his powers, to join the squad. However, Gerrie refused due to the ill health of his son. In the run-up to the 1978 World Cup, the younger Mühren made his debut for the national team in a friendly against Tunisia, but didn’t make the squad that travelled to Argentina. The Netherlands reached the final for a second straight time, again losing to the host nation. He did feature in the qualification for the 1982 edition, scoring the winner against France and a penalty in the 2-2 draw against the Republic of Ireland. However, losing both their opening matches – away to Ireland and Belgium – came back to haunt the Dutch. Another loss to France in their final qualifier in Paris meant that the Netherlands could finish only fourth in Group 2, with Belgium and France making it to Spain. The qualification for the 1986 ended in another failure for the Netherlands, unable get it past neighbours Belgium in the playoffs. However, by then a new generation of Dutch players had come into the team. As a result, Mühren, who symbolised the failure of the old for some, failed to gain a place in the squad. From his fledgeling career to his peak to his twilight years, Mühren had witnessed four World Cup tournaments without being a part of any of them. To his credit, he was gracious enough to accept the reality. “In my career at the various clubs, I grabbed all the big prizes. For me, however, 1988 was the crowning glory of my career. 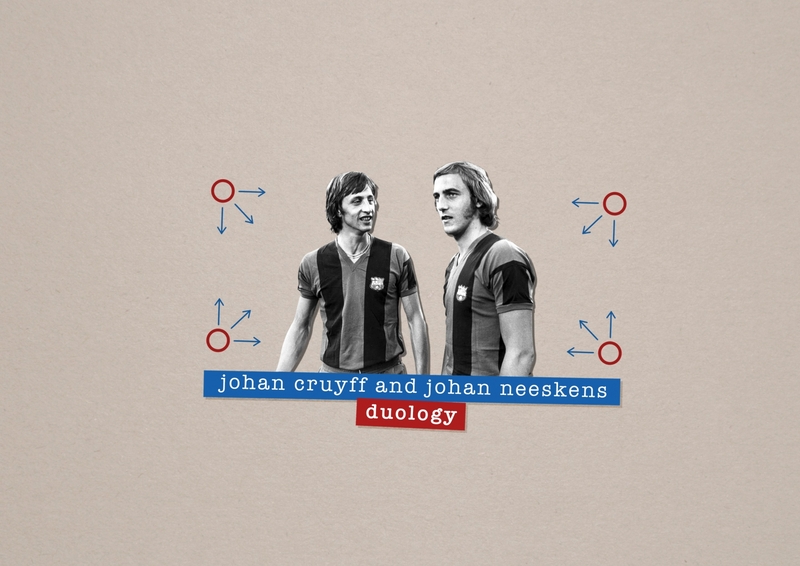 “I am very proud to have been part of two major generations of Dutch football. In 1971 I came to an Ajax team having Cruyff, Keizer and Neeskens – who had just won a maiden European Cup – and as a 37-year old, I won the European Championship with Frank Rijkaard, Ruud Gullit and Van Basten,” he told Voetbal International. The fact remains that Mühren’s selection for the Euro 88 squad – his first European Championship following non-selection in 1976 and 1980, and the failure of the team to qualify in 1984 – was as much down to luck as anything. “ I was the only odd duck in the middle of that Oranje selection in terms of age. But I never felt like a father figure. Not even when I returned to Ajax. Then I was 35,” Mühren was quoted as saying to the media. In the remaining qualifiers, Mühren scored the second goal in a 2-0 win over Hungary. It was his third and final goal for his country, with all three of them coming at De Kuip in Rotterdam. In the tournament proper, the 37-year-old used the wealth of experience he had to his advantage. Even though he was again a sidekick, amidst a gamut of star names, Mühren played his role to perfection. His calm head and sublime passing served the team particularly well, and they recovered from an opening defeat against the Soviet Union to set up a final against the same opponents. “The crazy thing was, in the Netherlands everyone thought after the semi-final against West Germany that we would win the final,” recalled Mühren. “It’s the biggest nonsense I had ever heard. The final was against Russia and it had to be won. That’s why I was immediately focused on them. I knew it would be my last international match. In fact, 10 of Mühren’s 23 matches for the national side had come during Euro 88; five in the qualifiers and five in the tournament proper. In his final appearance, he had made a key contribution to the winning cause in the form of that famous looping cross. It’s what many outside of his homeland and England remember him for. Even though he missed out on opportunities to represent his country on the biggest stage, the Dutch victory at the Olympiastadion in Munich ensured a perfect swansong for Mühren. With a new generation of stars waiting in the wings, ready to elevate the Dutch to their standards of old, perhaps there’s another Arnold Mühren behind the scenes, patiently biding his time, underrated and quiet, but determined to leave a mark on the world of football.